Can you imagine the size of that rock? INSANE! 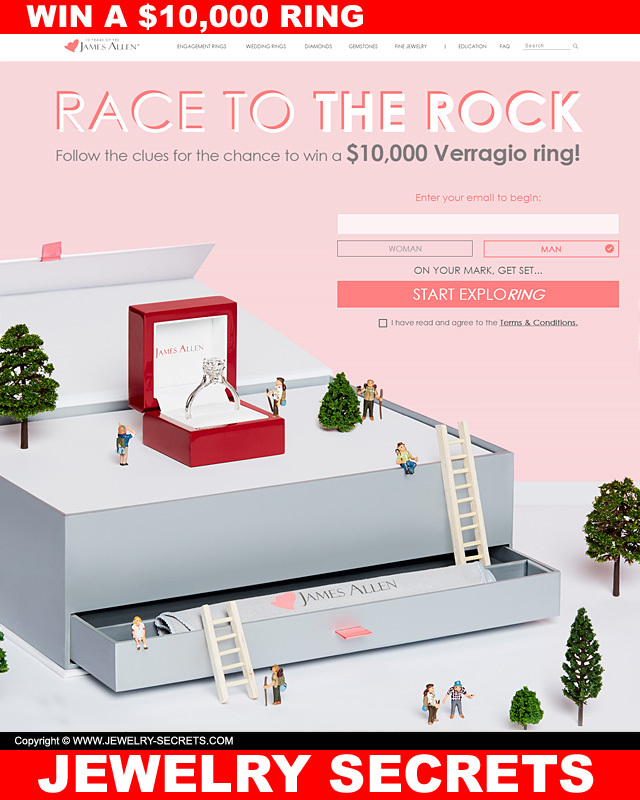 And right now, through July 17th, you too can enter to win a HUGE ring valued at $10,000. It’s James Allen’s Race to the Rock Challenge, where you look for clues to enter, complete the form, and cross your fingers. 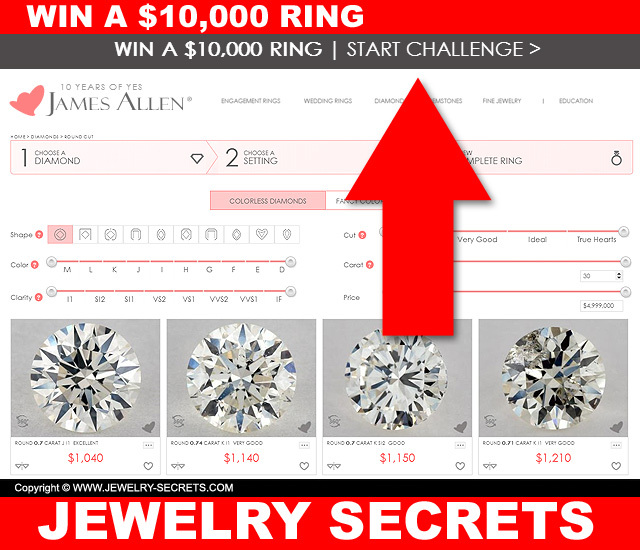 So good luck with the clues and the entry, and head on over to James Allen NOW! Maybe you will have the winning finger.